"In brief, there is no evidence suggesting a connection between a person's fingerprints and the MI (Multiple Intelligences)"
During the past year I have found various websites which are marketing the DMIT-test (= the 'Dermatoglyphics Multiple Intelligence Test'). It's a test which is build on an (old) theory by Dr. Howard Gardner - who argued in 1983 that the concept of intelligence as traditionally defined in psychometrics (IQ tests) does not sufficiently describe the wide variety of cognitive abilities humans display..
During the past years this method came into the hands of a few marketeers, who presented this method in: China, India, Indonesia, Malaysia, Singapore, Taiwan, and Thailand. Most of these websites are developed in Asia. But does the test really do what is says? Is it really possible to 'assess' IQ talents from the individual tips of our fingers? NOTICE: Originally there were only the first 7 types but in 1999 he added the 'naturalist intelligence'. And he has also considered 'existential intelligence'. Who designed the 'Dermatoglyphic Multiple Intelligence Test'? 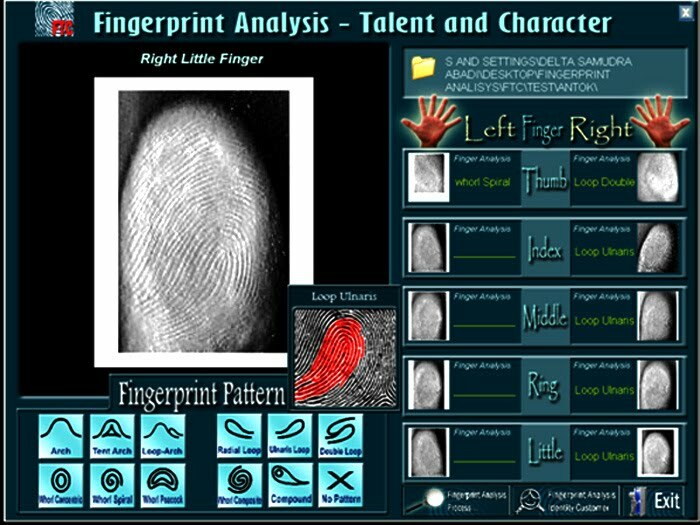 Re: III - Thumbrule DMIT - IQ TEST: Does intelligence correlate with fingerprints & dermatoglyphics? Now, I think the presentations are quite impressive. But what do we really think about this DMIT test? 1 - The DMIT method suggests that each finger is connected with a brain lobe, but I think there is no direct evidence for such a specified theory at all. On the contrary: it is a fact that all fingers are connected with for example the motor cortex (which is in the frontal lobe) AND the somatosensory cortex (which is in the parietal lobe) - and I am quite sure that there are likewise multiple-connections with the other lobes. 2 - The AtD-angle is no reliable indicactor for IQ, nor the efficiency of school performances. Actually, the words 'effective learner' and 'affective learner' are rather abstract concepts (which might only have linguistic value). • DMIT can provide crucial inputs for student counseling and guidance"
Your experience/opinion is welcome: what is your thought? Does anybody have any experience with this method? NOTICE: There are quite a few more related studies availabe so the list will probably grow in the near future. • Even the affluent and often gullible West hasn't accepted it (6)"
- On page 19 is suggested that DMIT provides a method to assess IQ, EQ, AQ and CQ... but on page they suggest that IQ is an 'incomplete tool'. ...Intellectually, this DMIT concept looks like a complete chaos... because they are suggesting that the method identifies multiple forms of intelligence, but basically the concepts of AQ (Adversity Intelligence Quotient) and CQ (Coaching Intelligence Quotient) do not related at all to Gardner's model of mulitiple intelligences, etc, etc.. Does the AtD angle correlate with intelligence? My short answer: ... yes! 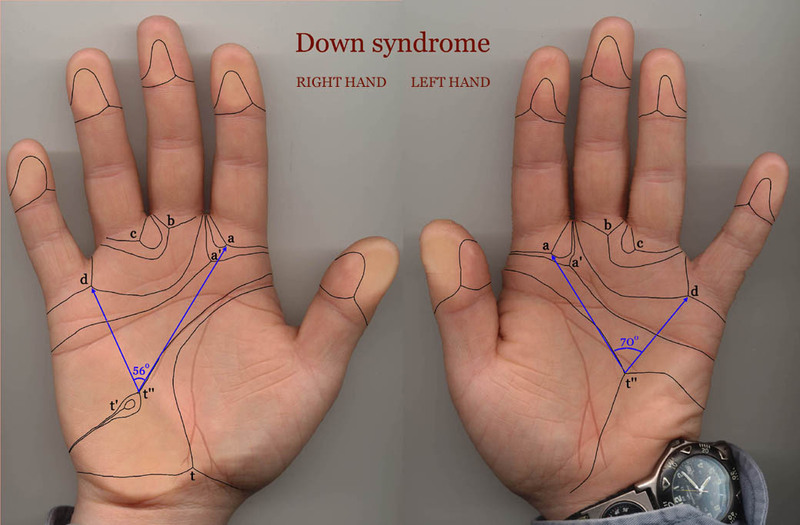 Various studies have indicated that there is indeed a link between the AtD angle and intelligence, but one should be aware that most of these studies were focussed on the hands of people who are featured with a low IQ (including: mentally retarded subjects and/or people who have Down syndrome). One should also be are that the IQ AtD-angle can vary from 25o to 75o (values outside this range are very rare). Which also implicates that principally these can all be found among invididuals of high IQ and low IQ. What do these reports generally indicate? - AtD < 30o = often seen in people who have mental retardation (IQ below 70). Example 1: Palm print of control or normal person having atd angle t (<45 o). Example 2: Palm print of mentally retarded (MR) having atd angle t’ (45o to 56) and t”(>56). Just added the very first US related website (see the list in the introduction message of this topic). I appreciate and thank you for your efforts in this regard for providing such a rich knowledge on the subject for us. Though I have seen a few of websites earlier among the mentioned by you but your way of data collecting, editing and later presenting is marvelous. Full marks! Great to see your response Mister Sethi! Thank you very much for your supportive words. Thanks for presenting this Martijn! "... Genius need to have 99% effort + 1% talent." ...??? ... Uhm, is this really what science learns us today? Albert Einstein would probably not have agreed, since his intelligence had manifested at a very young age (even before he could speak!). And the truth is... that modern science today learn us that intelligence is for a large part inborn and inherited. "Estimates in the academic research of the heritability of IQ have varied from below 0.5 to a high of 0.9." I can understand why the DMIT marketeers decided to suggest that 'genius' takes a 99% effort... because basically the implication of this is that using the DMIT test would probably add to your chances to develop the intelligence of a child in an efficient manner. But the truth behind my wikipedia quote is that for a large part parents can not 'guide' the intelligence of their child... simply because 'genius' is for a very large part talent only - and in that perspective DMIT's claim about effort-vs-talent is not realistic at all! Another example of ... DMIT rhetorics - while the scientfic facts tell a completely different story!! But I also want to recommend this video where Howard Garnder (the man who invented the concept of MI: 'Multiple Intelligences') explains how he arrived at the MI-theory of multiple intelligences. Gardner describes in this video very explicitely how this theory actually much more relates to 'talents', and not IQ...!!! Howard Gardner's choice to speak about 'multiple intelligences' was basically of a marketing related decision for his book to be published. So it is VERY IMPORTANT to notice that from a fundamental point of view... Gardner's MI-theory does not relate to IQ at all! And after observing this, one could argue that all assocations between the MI-theory and IQ... are by fact misleading! In this perspective it is important to notice DMIT does claim to measure EQ, AQ, CQ, and IQ! And while the DMIT marketeers are describing their product as 'scientific', I think my observations have illustrated with quite a few details that the essential scientific facts which are mentioned in the DMIT product description... tell quite a different story. The DMIT marketeers should not have associated the DMIT test with the traditional IQ concept. NOTICE: the Wikipedia page about Gardner's MI-theory informs us that Gardner even denied the existence of intelligence as traditionally understood!!! PS. I don't expect that many academic psychologists will ever accept DMIT as a scientifically valid- nor a reliable product... simply because their is no direct evidence at all which confirms that the product does what it is described to do. The associations with IQ appear to be rhetorics only. And the model of the fingerprints & the brain lobes connection appears to be a speculative theoretic construction - because I have never ever seen any scientifically confirmed link between any single finger(print) and any well-defined specific 'talent'. Anyway, if you have a different opion... you are welcome to express it here!! “The associations with IQ appear to be rhetoric only. 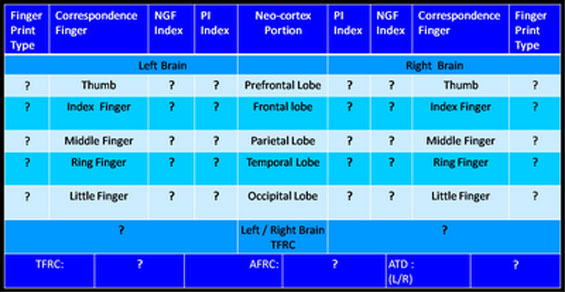 And the model of the fingerprints & the brain lobes connection appears to be a speculative theoretic construction - because I have never ever seen any scientifically confirmed link between any single finger (print) and any well-defined specific 'talent'. You are in this way totally disapproving the basic concept of dermatoglyphic study of fingerprints laid down by Dr. Cunning or Richard Unger. According to them the highest rank here at the fingertip of right Apollo finger denotes creativity or some kind of talent. The same is true when a few vertical lines are found on first tip of the little finger, but of course not well-defined specific 'talent' as I usually say that no sign on the palm or fingertip is absolute in itself. In Dermatoglyphic study we can easily recognized whether the person has true creative abilities or not. You know that different types of patterns on different fingers denote different things. Whorls and peacock eye stand the highest value on the fingertips so they are ranked the highest and therefore on the right ring finger or on both the ring fingers denote not only the mere appearance, presence, interest or inclination towards the artistic field but they are efficient, talented and powerful masters of creativity with great concentration in particular field. It shows efficient and powerful creativity as his Life Purpose, Life Theme. The Apollo Line indicates capabilities or possibility of accompanying a great deal indeed, but, the field in which the subject will be at ease and could give best result will be shown by the Chirognomy study of the subject; which will tell that what are the forces behind this talent which will direct or guide the ability in producing the result. But, dear Martijin whorl or peacock pattern there at fingertips do indicate some ‘talent’. Sorry, so far I have not been able to recognize any direct connection between the DMIT (1) method and Richard Unger's approach (2), nor Harold Cummin's approach (3). And in that perspective I am wondering what you actually have in mind with what you described as 'the basic concept of dermatoglyphic study of fingerprints'? 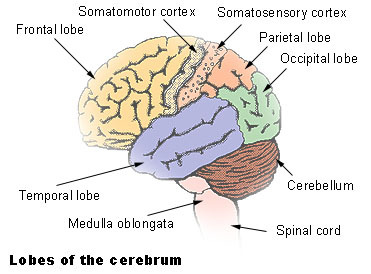 Ad 1 - DMIT is a method build on the speculation that there is a connection between the fingerprints of individual fingers & the brain lobes; but I am not aware that Unger, nor Cummins, are making a likewise connection. 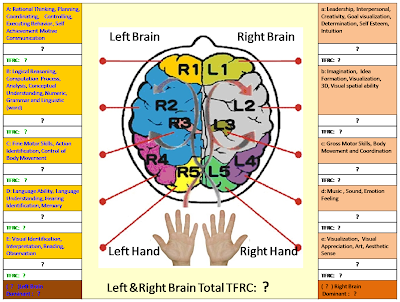 Ad 2 - Richard Unger indeed uses a fingerprint ranking method for life purpose & diagnostic issues, but I am not aware that he as well makes the connection between fingers & brain lobes. Ad 3 - Regarding Cummin's approach - who indeed used his 'fingerprint tree' to describe the variations among fingerprints - he never used the 'fingerprint tree' for diagnostic issues. And I am also not aware that he made any connection between fingerprints & brain lobes. Cummins actually e.g. described with many details that 'whorls' are typical for the primate hand, and 'feeble minded' have a greater number of large patterns & composites - which indicates that it is actually rather speculative to claim that Cummins work can be recognized as supporting Richard Unger's approach. So, I think you completely misunderstood my comment - by making assocations between my comments about DMIT with multiple other unrelated methods. While in this topic... I only talked about the fundamentals of the DMIT. PS. I hope you will explain the concept that you have in mind ('the basic concept of dermatoglyphic study of fingerprints'). The topic was that Re: Thumbrule DMIT - IQ TEST: Does intelligence correlate with fingerprints & dermatoglyphics? [justify]My plain answer is no because if a person’s fingerprints denote a Mentor, an Artist, a Healer, a big Shot, the person will definitely be an intelligent person you see. But, the other chierological marks would have to confirm it. The successful reading of dermatoglyphics study depends on the study of chierology. They both were made for each other. Even if we see some especial mark on fingertips, we would have to get it confirmed somewhere on the palm before reaching to a conclusion. Yes, the ATD angle correlates with intelligence. –for “fingerprints do not show any well defined specific substances that the person has”. You did not mean that. You were talking about “specific talent”. My belief was and is that the Fingerprints make us able to extract information about the ‘substances’ that the person has; but not “well defined specific talent.” I think you would have followed my idea. Now, I have no hesitation to agree with you. Thanks for confirming that you sort of misread my quote . Yes, before your feedback I had been talking about the DMIT method only - one should not read my comments out of context: I was not referring to fingerprints in general! So, great to know that you can actually support my comment & analysis (yes I made my comments more specified - to the DMIT product - than you initially assumed). And again... my fundamental problem with the DMIT product is that it claims to be constructed with scientific findings, but there are no scientific findings available which confirm that a single finger (print) provides info 'talent' (nor brain lobes, IQ, EQ, etc.) - but DMIT does make those claims. Richard doesn't make those claims: he doesn't claim that his method is scientifically validated, and his method uses a completely different approach because it works with the profile of all 10 fingers (prints) together. I am catching up after being away various times during the last 6 weeks. Thanks for your input Parender, and for your replies Martijn. I too had misunderstood some things & it has helped me to understand what Martijn was saying. However I still have a lot of reading & understanding to do on this topic! Great stuff! regarding the video that Martijn posted on 4th january, about multiple intelligence. academic or creative, some better at abstract thoughts & imaginative ability. At some stage I discovered that apparently my IQ was high enough to get into MENSA. I think I scored 136 in IQ test. (is that high? maybe I remembered it wrong, and maybe my brain isn't as good as it used to be! but am happy to re-take it if anyone has a link to a free IQ test). 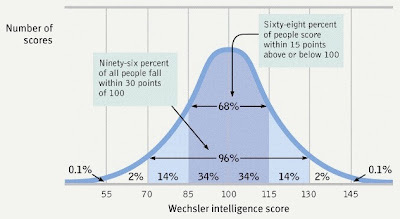 Since age 11 I have always argued that I just happen to be good at IQ tests (which seem to be based basically on maths, some language ability, & recognising patterns), but it does not make me more intelligent than the next person. Now I know palmistry, I'd say that IQ tests seem ideally suited to my short (ends under Saturn) straight headline. It's a particular way of thinking. 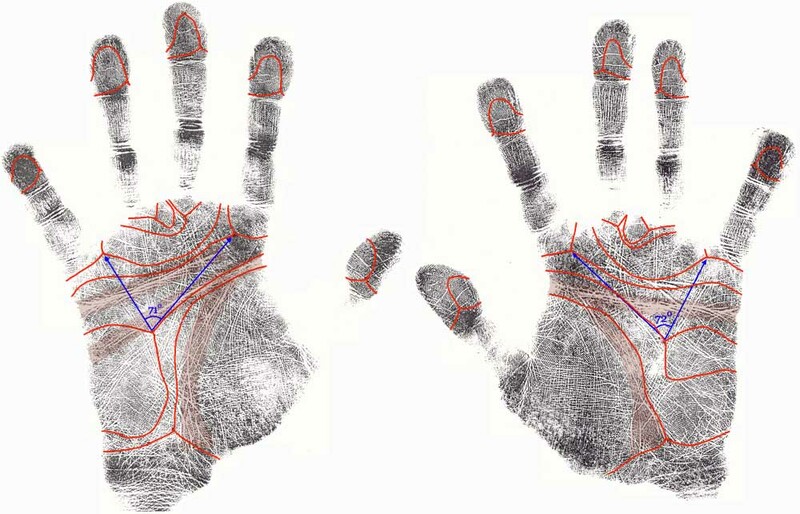 And "recognising patterns" is a great "way of thinking" for analysing hands! Anyway, it is interesting to watch this video. I agree with this guy that there are multiple 'types of intelligence'! Lynn wrote: ... At some stage I discovered that apparently my IQ was high enough to get into MENSA. I think I scored 136 in IQ test. (is that high? maybe I remembered it wrong, and maybe my brain isn't as good as it used to be! but am happy to re-take it if anyone has a link to a free IQ test). Yes, to join Mensa... "you need an IQ of at least 130". Only about 2% of people is able to score above 130 on any calibrated IQ test. So, if your memory is correct about the 136 score (in the past), I think you are overestimating the capacities of many others at least a little bit... because far most people will never manage to score above 130 on any IQ test. IQ is a actually dynamic measure, which varies e.g. with: age, culture, education - which explains why the most advanced IQ tests always include a measure of various skills: linguistic abilities, spatial abilities, mathmatics, memory, etc. By the way, many people over-estimate the capacities of others, especially regarding those people who show 'stronger verbal skills'... but often these skills were developed to compensate weaker skills, etc. ....if your memory is correct about the 136 score (in the past), I think you are overestimating the capacities of many others at least a little bit... because far most people will never manage to score above 130 on any IQ test. but that is my point! I don't think I am over-estimating others abilities, I think they have a different type of intelligence! maybe my memory is not correct? I should do an online IQ test to check what it is now. I read the article, so if I remembered correctly my IQ is about the same as Arnold Schwarzenegger & Al Gore. I need to re-take that test! PS Some interesting points on the discussion after the article you linked to Martijn. sorry if I am off topic, none of my posts so far relate to dermatoglyphics in relation to IQ. ... I need to re-take that test! PS. Lynn, regarding... (yes, we are off-topic) ... the 'responses' that you quoted are at best partly true, but some are not much more than rethorics only (based on general prejudgements regarding the content of IQ tests; because the content & types of skills tested actually varies in various tests!). Anyway, in my hand research studies I don't focuss on the results of IQ tests (instead I am using highest education levels, etc.). I will re-post the link to the IQ test on a new thread and try it tomorrow! thanks. Why are your studies going by highest education level? Lynn, my answer to your question is quite simple: because I have data about education levels available (and hardly any data about IQ-test results). But don't worry, I know what I am doing, and of course... I will describe my populations with details. Afterall, experts describe intelligence as the 'ability to learn': to ability to acquire, understand & apply knowledge + info. So despite the fact that the validity of IQ tests is debated (even among IQ experts), education levels generally do reflect intelligence. I hope this now makes sense. PS. This discussion is about the DMIT test, which 'claims' that it measures IQ (and other related aspects).